Halifax, N.S. warmly welcomes a night of music and discussion around mental health at The Company House, 2202 Gottingen St. Enjoy musical performances from Stephen Fearing, Susan Crowe, Jim Dorie and Kev Corbett, starting at 8pm on July 8, 2013. 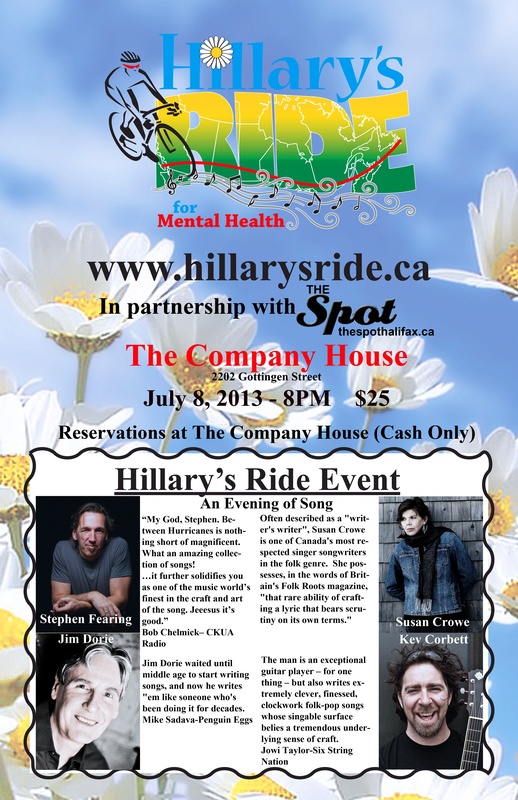 Tickets are $25 and can be bought in person from The Company House (cash only), 902 404 3050.